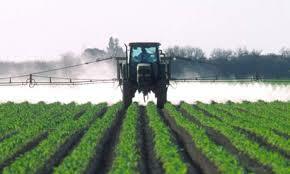 (Beyond Pesticides, August 8, 2018) On July 30, the California Department of Pesticide Regulation (DPR) released its scientific assessment concluding that the organophosphate insecticide, chlorpyrifos, should be listed as a Toxic Air Contaminant (TAC) in the state based on evidence of its neurological effects and exposure risks of concern. This comes after the 2017 decision by the U.S. Environmental Protection Agency (EPA) reversed its decision to ban the dangerous chemical after intervention by its manufacturer. Decades of scientific data show that chlorpyrifos damages fetal brains and produces cognitive and behavioral dysfunctions, particularly in utero and in children. Even at low levels of exposure chlorpyrifos can impact the developing fetus in pregnant women resulting in impaired learning, change in brain functions, and alter thyroid levels of children into adulthood. A study conducted by the Columbia University Center for Children’s Environmental Health (CCCEH) found that chlorpyrifos in umbilical cord blood samples corresponded with a decrease in the psychomotor and mental development in three-year olds. Additional data collected by CCCEH researchers demonstrated that children exposed to high levels of chlorpyrifos experience developmental delays, attention deficit, hyperactivity, as well as other pervasive developmental disorders. But despite this, and the advice of the agency’s own scientists, EPA, under the direction of former Administrator Scott Pruitt, reversed the agency’s proposal to ban the chemical. A California review of chlorpyrifos had been on hold for many years pending the proposed federal ban. Chlorpyrifos entered the state’s formal evaluation process to determine whether the chemical should be listed as a pesticide TAC, and a first draft was published in August 2017. A subsequent revision was published in December 2017, which was reviewed by the Scientific Review Panel on Toxic Air Contaminants. Now, this 2018 final TAC evaluation reflects the scientific review panel’s recommendation to designate chlorpyrifos a TAC, joining it to a list of 46 other chemicals including a number of fumigant pesticides. DPR now has ten working days to initiate the regulatory process formalizing the Toxic Air Contaminant designation. Further, the panel recommends DPR evaluate and identify the developmental neurotoxicity effects as the critical endpoint for the chlorpyrifos risk assessment. In light of gross federal inaction on this highly neurotoxic pesticide, Hawai’i became the first state in the nation to take a stand and ban chlorpyrifos. Governor David Ige signed SB3095 into law, in light of the unanimous support it received from lawmakers on both sides of the aisle. The statewide prohibition of chlorpyrifos will take effect beginning in January 2019. This legislative action marks the first time that any state in the country has passed an outright ban on the highly toxic pesticide. Hawai’i’s law contains a caveat that allows the state’s Department of Agriculture (DOA) to grant special permits for companies that argue that they need more time to phase-out chlorpyrifos, but that exemption will end at the close of 2022. Lawmakers in New Jersey and Maryland have recently tried unsuccessfully to pass similar ban. Now, advocates in California are urging the state to ban the chemical. According to Pesticide Action Network, DPR has the authority to halt exposures immediately by suspending use in California while formal assessment of control options are considered. However, DPR may follow the timeline under the TAC regulations that allow two years to decide how to mitigate the neurological risks. Almost a million pounds continue to be used on California’s food crops each year, exposing thousands of children and pregnant women to a chemical that permanently damages the developing brain. In Congress, U.S. Senators Tom Udall (D-NM) and Richard Blumenthal (D-CT) introduced a bill that would ban the use of chlorpyrifos. The Protect Children, Farmers and Farmworkers from Nerve Agent Pesticides Act, S. 1624, came one week after an appeals court refused to require EPA to make a decision over whether to ban the chemical. This entry was posted on Wednesday, August 8th, 2018 at 12:00 am	and is filed under Agriculture, California, Children, Chlorpyrifos. You can follow any responses to this entry through the RSS 2.0 feed. You can skip to the end and leave a response. Pinging is currently not allowed.